The Combined Federal Campaign kickball event is 9:30 a.m. Oct. 30 at the Luke Air Force Base softball fields. Seven-to-nine-person teams compete. A recommended $20 donation per team includes lunch. There is a costume contest and prizes are included. Sign up at the Luke AFB Bryant Fitness Center or email eric.ledford@us.af.mil or brian.lefevere@us.af.mil. For more information, call 623-856-3741. 8 p.m. Oct. 30. Admission is free and includes a costume contest, bounce castle, face painting and prizes. A dinner buffet will be served 4 to 6:30 p.m. The cost for club members is $10.95 per adult. Two children to age 12 eat free with one adult member purchase. The cost for nonmembers is $10.95 per person, $6.95 per child, ages 6 to 12, and $3 per child, ages 5 and younger. For more information, call 623-856-6446. The Air Force Office of Special Investigations, Detachment 421 is featuring a recruiting fair on Nov. 10 at Club Five Six. 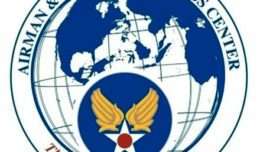 AFOSI is responsible for investigating major crimes against the Air Force, Defense Department and the United States and is constantly seeking exceptional NCOs for duty as enlisted special agents. 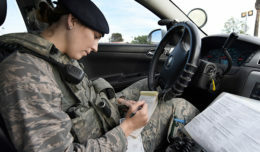 AFOSI conducts criminal investigations, fraud investigations and counterintelligence activities servicing leaders at every echelon of Air Force Command. For more information on applying for special agent duty, go to www.osi.andrews.af.mil or call the AFOSI Det. 421 at 623-856-6821. Defense Department, nonappropriated fund, Army, Air Force Exchange Services and Defense Commissary Agency civilian employees are invited to a picnic from 10 a.m. to 1 p.m. Wednesday at Fowler Park and 10 a.m. to 1 p.m. Oct. 30 at the Air Force Government Employee Union office on the first floor of Bldg. 156. The food is free. The AFGE Local 1547 will talk about how the union is working for members. For more information, call Silvestre Chaco at 623-856-6957. The Air Force is seeking qualified volunteers to become remotely piloted aircraft pilots. Enlisted members may compete to enter Officer Training School, earn a commission and attend undergraduate RPA training. Candidates must commission by age 35. Interested members should discuss with their supervisor/commander and the Air Force Personnel Center assignment team for release to compete. For more information, call Senior Master Sgt. Sarah Tombley, 56th Force Support Squadron, at 623-856-3246. The First Term Airman Center is looking for a team leader. Applications are due Nov. 6. The report-no-later-than date is Nov. 30. The position is open to staff or technical sergeants. For more information or to apply, contact the unit first sergeant. The 56th Force Support Squadron Airman & Family Readiness Center will host, in partnership with the Department of Economic Security, the 2015 Job Fair from 10 a.m. to 3 p.m. Wednesday at Club Five Six. More than 60 local and national employers will attend to include federal, state, county and city government agencies, and private sector healthcare, aviation, security, financial, IT, hotel and other services. For more information, call Edwin Robinson at 623-856-6550. To request a test to be scheduled, go to the Air Force Virtual Education site, click on Online Test Requests, submit a new request, choose Luke AFB, select the test type, choose a date and time, and alternate date and time and submit. Education personnel will verify the information and schedule appropriately. An automated email will be sent with the scheduled test date. For more information, call Melissa Hohn at 623-856-7722.